Modicare Business Success Stories – Modicare is the first direct selling company in India and it is the one of the top leading company in network marketing. Modicare business concept launched by Mr K.K Modi in 1996. Modicare business concept is very popular and Indian people give it a good response. It deals in direct product selling which gives direct benefits to its consumer. 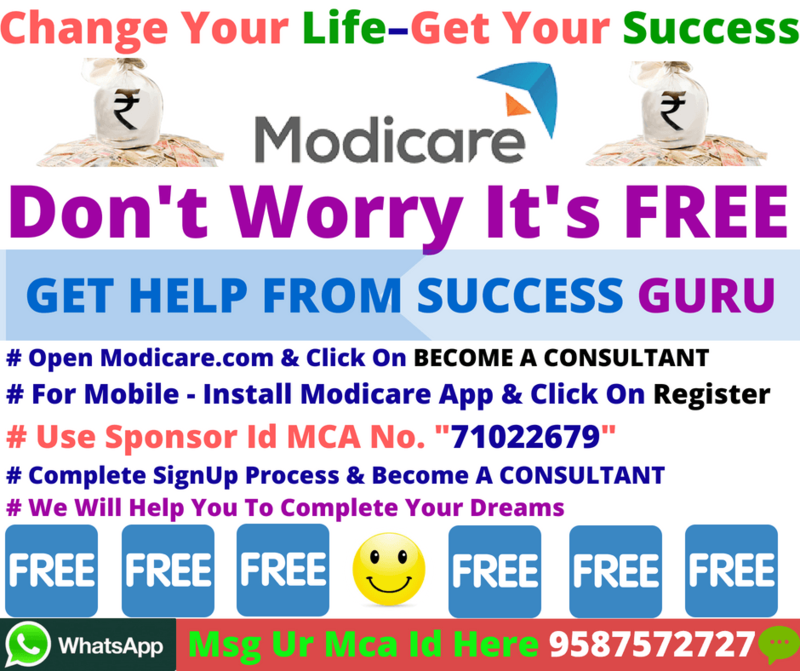 You can also earn money by modicare business to promote product selling by becoming a distributor or consultant. Many people make success story in Modicare Business and here we are going to mention top success stories of individuals person who build their career in modicare network marketing. Here are some Modicare Business Success Stories & Motivational Videos which really encourage you if you want to become a successful businessman. I am a housewife. My husband Pramod started with Modicare 16 years ago. I remember the day he told me about a business opportunity promising millions of rupees, but I did not believe him. I objected to and rejected Modicare as I was unaware of the potency of network marketing. He purchased Modicare products and asked me to use them to assess their quality, the first step for success in this business. The quality of Modicare products gave me confidence. As an example, I had been suffering from dust allergy for 20 years. I had consulted many doctors but in vain. However, within 7 days of using Stericlean, a Modicare product, my problem was completely cured! Then I encouraged my husband to build this business wholeheartedly. Initially, we faced difficulties and challenges, but our achievement is much bigger than our challenges combined. The Modicare business offers financial freedom and security. We are very happy and living our life the way we want to. All credit goes to Modicare. We thank Mr K. K. Modi, Mr Samir Modi and the Modicare management for providing such a beautiful business opportunity. Our experience says that regardless of your current problems, your future can be colourful and glorious. Anyone can achieve success with Modicare has given proper understanding and sincere work. May God bless all of you and may you be successful. All the best. I can attest that Modicare offers you the world’s best opportunity to prove yourself. You can achieve your wishes and fulfil your dreams with Modicare. Modicare always ensures that we achieve the best in life. “The thing always happens that you really believe in, and the belief in a thing makes it happen. My life began in a mud house in a small village. I worked in the telecom industry for 12 years and had an annual turnover of 7 crores. Then I lost big time and ended with a debt of 1.5 crores. I was at a loss regarding what to do, but network marketing came to the rescue. I joined Modicare on 21 August 2013. I thank God for giving me the world’s best opportunity to work with, i.e., Modicare. I salute the Modicare management team for their tremendous support in building my team, especially Mr Ravi Bhatia, Mr Anoop Arora and Mr Prem. I am also thankful for my upline Mrs Surekha Bhargava. Welcome one and all to the wonderful world of Modicare and live the life you want to live. A small decision taken in September 2012, namely to join Modicare, has changed my life amazingly. My wife and I have been to multiple foreign destinations, look forward to vacations in Turkey and Europe, have received a Suzuki Esteem and a Toyota, have an income in the lakes, and have earned a reward of ten lakhs in the last year. The methodology behind our success is to always dream, think positively, have a plan of action, and follow the system of weekly meetings and training. I am an engineer and from a middle-class background. I switched to Modicare to pursue my dreams. Initially, I struggled and could not convince friends and relatives about the promise of Modicare. However, persistence has paid. I thank my uplines and close friends Tarun Bajaj and Dr Surekha Bhargava. Today I stand in a position where I have 2 cars, many foreign trips and an enviable income. I come from a very middle-class background, My mother was a government teacher and my father was doing farming after retiring from the Indian Navy. I was an average student but my dreams were very big and wanted to be a cricketer. I failed in my graduation, left my studies and started working with my father and failed nine times in different businesses and lost huge money. In the end, my father said, “no dreaming” and we started our garment showroom in 1992. I was not happy with my garment showroom business and my lifestyle. Because I was aware of the power of MLM, I started searching for some good company, which could help me achieve my dreams. In between, I got a chance to meet Dr Surekha Bhargava, who told me about Modicare. And I was amazed at the plan, products and everything about Modicare. Thanks to Surekha Ma’am and Samir Modi. Today I stand in a position where I have 2 cars, many foreign trips and an income that I could not even dream of. And I reached the Global Black Diamond Director in just 4 years and 8 months. Modicare is all about one’s belief in dreams. I believe that a true leader is one who creates more leaders. I can proudly say that in my team I have many such true leaders. I thank all my team members. This is a new business to you. So give some time, at least 5 years to Modicare and learn. 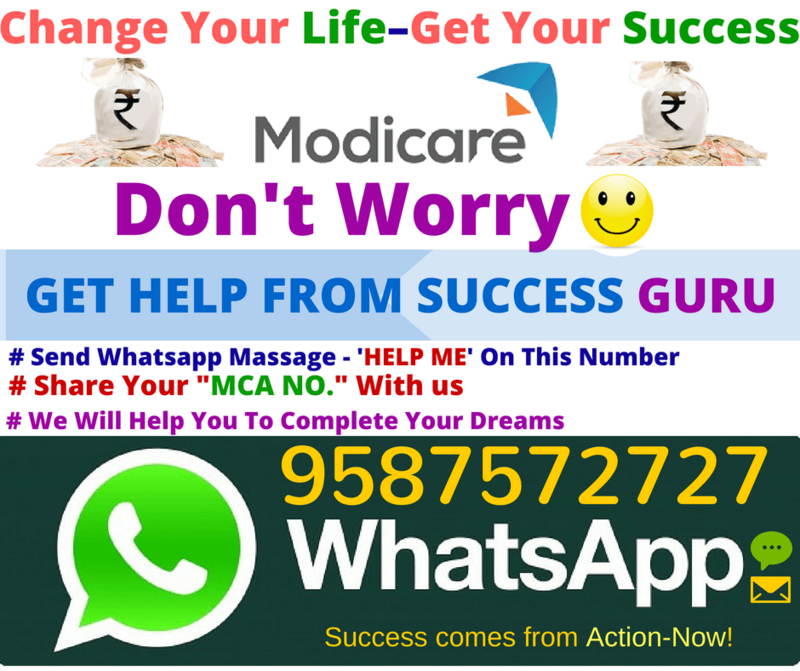 You could be rich because of Modicare plans, products, Modicare system and with the support of Modicare management. Most people think that working hard is the way to succeed, but it is also important to work smartly. The opportunity we were looking for to fulfil our dreams came in the form of Modicare, which promised freedom, spare time, a dream home and world travel. Before joining Modicare, I was in marketing, and Philip, my husband, was an aeronautical engineer. Throughout my Modicare journey, I have believed in myself. Miracles do happen if you believe in them, and we 100% believed in Modicare. With dedication and commitment, we could see Modicare working for us. We managed to move from a rented quarter to a posh apartment with three swimming pools and now own three cars: a Honda City, a Swift, and our latest addition, a BMW. We are now Global Black Diamond Directors, and we feel like celebrities. We believe this is just the beginning. There is an ocean of opportunities out there for those who want it. We are excited about what we will achieve in the future. The SAMIR MODI AZADI PLAN is 100% result oriented. Modicare products have great quality and are affordable. We offer special thanks to Raju, Vijay and Chandru, Mr Prashant Prem, Mr Subrato, Mr Sundeep whose guidance was like an upline to us, and our dear upline Dr Surekha Bhargava who has been there when we have needed her. Thanks is a small word for what MODICARE has done for us and for all Modicare distributors. We are blessed to have Shri K. K. Modi and Mr Samir Modi as our founders who have given us and lakhs of people this opportunity. So that’s all about Modicare Business Success Stories & Motivational Videos. Here we mentioned Modicare top 5 director list which builds their career in modicare business and they all belongs to a middle-class family. So if you want to make another history in modicare network marketing business then join modicare business plan now and change your life and live in your own dreams.